For applications that require the permanent attachment of screw assemblies into printed circuit boards, JHP Fasteners recommends the use of P-C panel board fasteners. 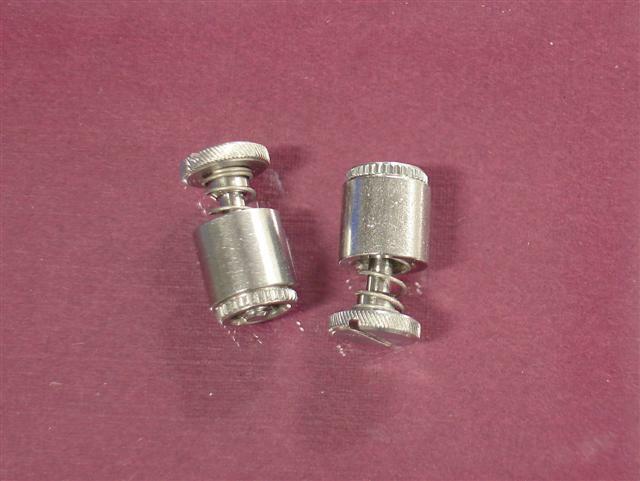 These industrial fasteners are specifically designed for permanent insertion into printed circuit boards and will remain captive to facilitate quick attachment and removal of the circuit board. P-C panel board fasteners are available from JHP Fasteners at attractive pricing and short lead times. Material: 300 series stainless steel (finished per Passivated ASTM A380). Minimum recommended panel thickness: .060” (1.5mm). The P-C panel board fastener may be used in printed circuit board substrates as thin as .060” (1.5mm). When properly inserted, the screw assembly will remain captive to the printed circuit board substrate. Depending on the thread size being used, an installation force of between 250 and 400 pounds will be required to fully insert the fastener. Insertion can be performed manually or via incorporation of an automated press device. Depending on the thread size being used, push-out performance will be between 55 and 60 pounds. Application of a robust industrial fastener that allows for easy mounting and removal of a printed circuit board is often a crucial design requirement for electronic products. The P-C panel board fastener is often the ideal choice for those types of products. JHP Fasteners will provide you with expert guidance on the selection of the most appropriate fastener for your specific product or application. JHP Fasteners has 40 years of experience in providing outstanding products and services to an extensive list of commercial and industrial customers. Contact us today for any industrial fastener requirement you may have. We will work hard to win your business!